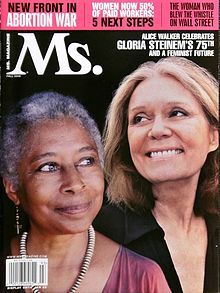 As of May 2018[update], Steinem travels internationally as an organizer and lecturer, and is a media spokeswoman on issues of equality. 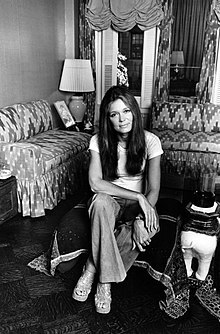 Steinem attended Waite High School in Toledo and Western High School in Washington, D.C., graduating from the latter while living with her older sister Susanne Steinem Patch. 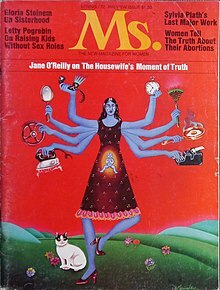 She then attended Smith College, an institution with which she continues to remain engaged, and from which she graduated as a member of Phi Beta Kappa[clarification needed]. 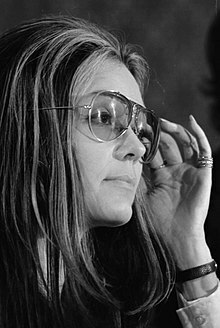 In the late 1950s, Steinem spent two years in India as a Chester Bowles Asian Fellow, where she was briefly associated with the Supreme Court of India as a Law Clerk to Mehr Chand Mahajan, then Chief Justice of India. After returning to the U.S., she served as director of the Independent Research Service, an organization funded in secret by a donor that turned out to be the CIA. She worked to send non-Communist American students to the 1959 World Youth Festival. In 1960, she was hired by Warren Publishing as the first employee of Help! magazine.